Asthma refers to a condition in which people’s airways become narrow, swell up and produce extra mucus. This makes breathing difficult and can trigger coughing, wheezing and shortness of breath. 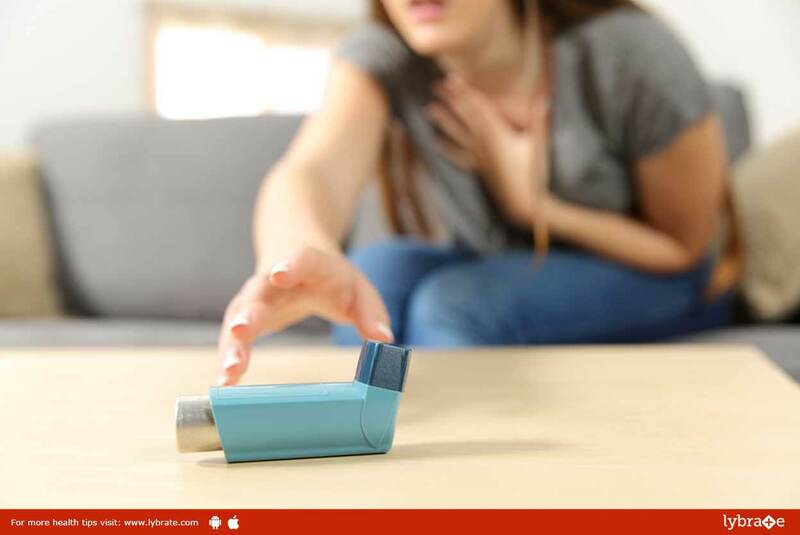 For some people, asthma can be a minor issue, whereas for others it can be quite a major problem that tends to interfere with daily activities and might also lead to a life-threatening asthma attack. Now before looking at certain tips on how can one manage the problem, let us briefly discuss the symptoms and causes behind Asthma. The symptoms of Asthma vary from one person to another. People can have attacks of asthma in an infrequent manner, can come across symptoms only at certain occasions like at the time of doing exercises or can also have symptoms all the time. -Breathing problem, mainly shortness of breath. -Pain or tightness in the chest. - Can have trouble while sleeping, which is caused due to shortness of breath, coughing or wheezing. Causes Exposure to various irritants and substances that trigger allergies can trigger the signs and symptoms of asthma. Substances that are borne in the air like pollen, dust mites, spores etc. Infections in the respiratory tract like the common cold. Air pollutants and irritants like smoke. Certain medicines like aspirin, beta blockers, ibuprofen and naproxen. Though there is no way through which, people can prevent asthma, still through properly collaborating with the doctor, one can follow certain tips to manage the condition and prevent further attacks. Chalk out a detailed plan with your doctor and a healthcare team for the do’s and don’ts, kinds of medicines to follow.As Asthma is an ongoing problem, one needs to monitor his or her condition on a regular basis and look to stay away from all those which trigger the situation. It is advised to get vaccinated for influenza and pneumonia, which usually trigger flaring up of asthma attacks. Carefully note the kind of food items like prawn, eggs, which tend to aggravate the situation. Then, try to avoid them. Best way to identify the kind of items which people must avoid is by getting an allergy test conducted. People must also learn to recognize warning signs of an impending attack like a slight cough, wheezing or shortness of breath. It is important to identify and treat the attacks early. That would allow people not to be under medication. Make note of the fact, whether you are getting too reliant on a quick- relief inhaler. If it is, then your asthma is not under control. Then, the doctor must be consulted immediately for taking the desired action. ← Laser Hair Removal- How Does Soprano Ice Alma Work?